“But as far as this particular blown September lead goes, blaming it on players eating fried chicken or Francona having marital issues is incredibly facile and incomplete. The pitching staff got ravaged by injuries, as did Kevin Youkilis. Even if you ignore the depleted roster, the schedule got tougher, with lots of games against the Yankees, Rays and Rangers and fewer against, say, the AL Central (though yes, the Orioles did kick their butts, too). The Rays happened to dominate the head-to-head matchups, taking a big bite out of Boston’s lead. They also caught a broader hot streak of their own at just the right time. Everything that could have gone wrong for the Red Sox went terribly, horribly wrong. 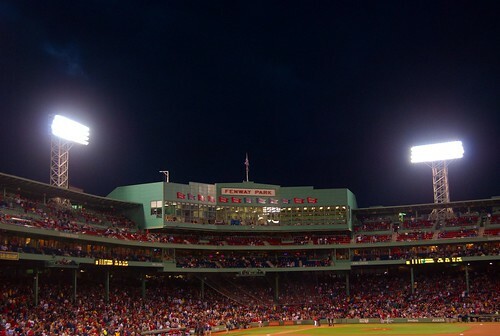 via Boston, the Red Sox, and Anonymous Sources – The Triangle Blog. We just got our asses kicked, pal. Spare me the “we scored as many runs as they did” arguments: the Yankees just savaged us with a plastic hamster. If you are lucky enough to score four runs off an in-form CC, you need to take advantage of that. Instead, Beckett was completely unable to stop the bleeding, surrendering runs in six of the eight innings he pitched. The bludgeoning was so bad, in fact, that I’m kind of surprised to see that no one is speculating along the same lines as yours truly. The first pitch dongs were one thing, but the curveball Cano hit out last night was not a bad pitch: decent break, caught the outside edge of the plate, and yet was crushed. I have to believe the Sox are at least asking the question of whether he was tipping (the Cardinals, apparently, believe that Smoltz was), but none of the media thought of it so maybe he did just pitch that badly. Or, more accurately, has been pitching that badly. Because while it was bad that our ace got his teeth kicked by our most hated rivals while the offense managed to scrap together a few runs off their #1, what’s worse is that this, in some respects, it’s not a surprise. The big Texan’s had a distinctly odd season. The fiancee and I – oh, did I not mention that? yeah, I got engaged, it’s awesome – saw him dominate the Rays in the season opener. He followed that gem with four starts in which he gave up 4,3, 8 and 7 runs, respectively. That was good for a 7.22 ERA in April. And who’d he give up 8 against, you ask? I’ll give you a hint: they wiped the floor with him last night as well. Anyway, since the start of May, Beckett’s generally been excellent (ERA’s by month: May 2.38, June 1.51, July 3.35). Or rather he had been, until his last start at Toronto, a 5 and a third, 7 run clunker. Throw in the start previous, in Detroit, and Beckett’s given up 10 home runs in his last three starts, after giving up 10 in his first 22 starts combined. That, my friends, is what we in the business call a problem. So what’s the problem? Damned if I can tell. PitchFX tells us his velocity seems ok: 94.5 and a half on the fastball, topping out at 96.5. Nor is there anything obvious in the plots. We know he’s throwing strikes – they were the balls leaving the park at a high velocity. But he’s also out of the zone enough that they can’t tee off. No, I don’t know what’s wrong. I haven’t done a deep look at the numbers, but nothing jumps out at me from what I’ve seen. Which makes me wonder – based also on the approaches the Yankees took to the plate last night – if he isn’t tipping his pitches. If that seems implausible, think of it this way: it’s either that, or he’s suddenly and inexplicably pitching very, very badly. I prefer the former. My problem with the folks that pronounce definitely that we’re either out of the division race or still in it is that they’re both wrong. We’re not technically out of it, but we’re not in it, really, either. As of this morning, the Monte Carlo simulations run by Clay Davenport and the fine folks from BP, we’ve got a 3.09% chance of winning the division. Let’s be generous and round that up to 3.1%: we’re still not likely to win this thing, although mathematically, it’s still possible. Yes, we’ve played the Yankees well – this weekend and the last series notwithstanding, we’re 9-6 against them. But they’re destroying everyone else, and we are most certainly not. Hence the seven and a half game lead. The obvious question then is whether we can secure the wild card, and the answer is that we can, but that our competition is stiff. The same projection has us at a 52% probability to win the wild card, with the Rays at 24% and the Rangers at 15%. That sounds good, but a.) that’s only a 1 in 2 chance of making the playoffs, and b.) we’re one bad week – and sweet Jebus knows we’ve had plenty of those – away from being where the Rangers are now. As could have been predicted, Smoltz’s generally awful performance coupled with the team’s coincidental malaise led to a bunch of “Theo screwed everything up this offseason” commentary. Smoltz, like Penny, was – in my view – a good bet that just didn’t pan out. Nor would it have, I don’t think. Yes, as Nick Steiner gleefully covers – he’s a Cardinals fan – the ex-Brave’s first outing for the Redbirds was a gem: 5 IP, 3 H, 0 BB, and 9 K’s. But as he acknowledges, this is a.) the NL west, b.) the worst team in the NL west, and c.) the best pitcher’s park in the game. Were there positive signs when Smoltz was throwing for us? Absolutely. He was striking people out, not walking too many and his velocity was acceptable, if not overwhelming as in the past. But, as I said on the fangraphs blog, we just couldn’t afford to keeping losing games while he got himself straightened out. If we were sitting in the Yankee’s seats right now, with a comfortable margin in the division, I have little doubt Smoltz would still be here, and maybe pitching more to his peripherals. But in the meantime, he was getting crushed and killing our bullpen. So I was fine with the signing, just as I’m fine seeing him go. Because one of the kids is, at this point, probably a better choice for a rotation spot. To answer your first question, no, I do not feel “vindicated” about my assessment of one Clay Buchholz. While I am, of course, please that he’s pitched very credibly and kept us in games against – in succession – Sabathia, Verlander and Halladay, the simple facts are that his performance is not going to be sustainable unless he improves. When you’re walking almost as many as you strike out per nine – 4.7 vs 5.6 – you’re going to have problems. So he needs to at least quit putting guys on base, and it would help – his new two seam, groundball machine notwithstanding – if he struck a few more guys out. But am I exceedingly glad that the media – or at least the Cafardo and Mazz contingent – isn’t running things? You bet. Cafardo? “I make the Clay Buchholz-Jarrod Saltalamacchia deal right now.” Forget the nerve damage – that couldn’t have been foreseen. But Salty’s line this year? .236/.293/.375 for a .668 OPS. And remember, it’s not clear that he’ll be able to remain a catcher. Mazz, you might recall, was rather in favor of a Clay Buchholz and Jason Bay for Matt Holliday swap. Holliday’s numbers in the big boys league? .286/.378/.454 for an .831 OPS, which is right in line with 2005-2007 numbers away from Coors Field. Or maybe you remember when Cafardo said this: “With Justin Masterson making a solid impression in the majors and Buchholz down in Triple A, it doesn’t take a genius to figure out which of the two starters the Sox are higher on at the moment.” Even while he followed that with a caveat that the Red Sox valued him too highly to trade, the statement made zero sense to anyone who views a player’s potential beyond what they are doing right now. Masterson’s a good player, and one that I was sorry to see go. But in three starts with Cleveland, he’s had two decent starts and one very bad one, and – more troubling – he still can’t get lefties out (.323/.401/.463 in ’09, numbers which have declined from his .238/.365/.422 in ’08). This was apparent last year when Cafardo wrote those words – all you had to do was look at the numbers – but the media seemingly can’t be bothered to look beyond what they see on the field that day, that minute. Is Buchholz as valuable as Stephen Strasburg? Not even close. But am I glad that the front office viewed him with a bit of perspective that the media apparently can’t be bothered with? Hell yes. Just as I’m excited they improved the defense behind the kid. Which brings us to Josh’s question. Like the Globe’s Adam Kilgore – who’s doing a very nice job, incidentally – I was curious, initially, to see whether Gonzalez would be an actual upgrade in the field. At the time, A-Gon’s UZR/150 was below that of Nick Green. But it’s apparent to both of us that this move had delivered as expected, and the math agrees: A-Gon’s up to 6.5 runs above average, better than Green’s 5.2. Interestingly, the forgotten Lowrie’s at 21.3. Anyway, while age the knee surgery may – undoubtedly has, actually – subtracted from Gonzalez’s once exceptional range in the field, he’s at least been surehanded in the field. It might be that Green’s errors stick out all the more because they’ve been so brutal and ill timed, but I’m happy to have Gonzalez back, particularly considering the cost. Shortstop prospects, we have, and we didn’t give up any of the good ones. We did, however, give up some talented kids to get us a new catcher. 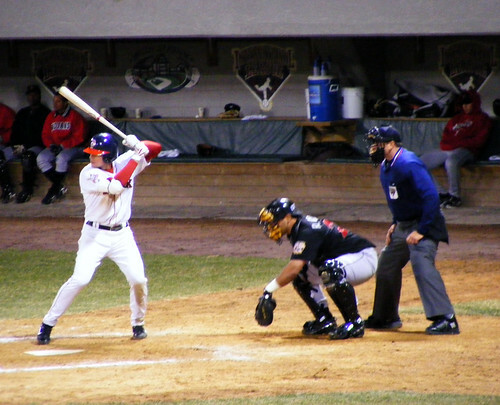 Much attention has been paid this past week to Martinez’ role, as his insertion at catcher had – until Saturday and Sunday – welded Varitek to the bench. Which is, frankly, where he needed to be, given what he was bringing to the table offensively and – it must be said – defensively. Johnny Bench, Martinez is not, but the kid can hit, and as Schilling said on WEEI the other day, he caught the last two Cy Young award winners, so he’s no idiot. Were Hagadone and Masterson a steep price to pay for the transaction? Indeed. Hagadone, coming off Tommy John surgery, is the rare high velocity lefthander, and if he can add a third pitch to the slider, has upper rotation written all over him. Masterson, his lefty difficulties notwithstanding, is a hugely versatile pitcher, capable of seamlessly shifting back and forth from the bullpen to the rotation and back. For Boston, he could replace Jason Varitek, or could fill in at multiple positions, playing every day but splitting time across catcher, first base and DH, especially the last when a left-hander is on the mound. He’s a legitimate switch-hitter and controls the strike zone, so at worst the Red Sox just got a catcher who can get on base and who’s under contract for a reasonable $7.5 million next year. This is, as Theo might put it, a move made with both today and tomorrow in mind. Which makes it tough to argue with, in spite of the cost. As for the Kotchman deal, don’t look at me: I still don’t get that one. I know he’s controllable for two more years, but LaRoche must have made himself very unpleasant to get turned around inside of two weeks. Before I close, two quick items: one good, one sad. I, like the rest of Red Sox nation, would like to wish Jerry Remy a fond welcome back following his return to the booth Friday night. I also give him a lot of credit for speaking publicly about his depression. This can be a shameful affliction for many under the best of conditions, and the baseball industry is, well, how do we say it: not terribly progressive. While I haven’t, fortunately, suffered from it, a lot of people that I know have, and it’s my hope that revelations like Remy’s will act to destigmatize depression for those who have it. So welcome back, and thank you. On the sad news front, my sincere condolences to the family of Greg Montalbano, one time Northeastern pitcher (and Carlos Pena teammate) and Red Sox prospect (and Kevin Youkilis teammate). After suffering for cancer for several years, Greg succumbed last week. From everything I’ve read, he was a good man with a very healthy perspective on his lot in life. He will, like all good people, be missed. Boston Red Sox vs. Chicago White Sox – Jed Lowrie, originally uploaded by sdowen. And we’re back. What, you thought I was going to post in the middle of the 11 game winning streak and risk screwing that up? C’mon. You know better than that. Sure, that ended a while back, but you try selling a loft and organizing not one, not two, not three but four moves. Anyway, in spite of what ahl and his pink hat taunting might argue, this particular entry was planned over the weekend. In other words, hating on the blog will not get you posts on demand. Unless they were already planned, in which case it will. Anyway, on to In Case You Haven’t Been Keeping Up With Current Events. Offense: You know the basics: after an abysmal start, the offense has performed acceptably: 5.78 R/G (2nd in the AL), .371 OBP (1st), .834 (1st), and we’re fifth in home runs and third in stolen bases. This, in spite of essentially nothing from Papi and our catching tandem. While I would not be opposed to an upgrade here – yes, I’d still love to see Miguel Cabrera once Detroit figures out that their local economy isn’t coming back before the End Times – our is capable and reasonably versatile. Pitching: Expected to be a strength, our pitching thus far has been a substantial weakness. The defense, which I’ll get to in a moment, is admittedly doing them no favors, but the rotation has up until the past few starts simply been poor. Raise your hand if you thought Beckett and Lester would own ERAs north of 6 this far in. Matsuzaka making an appearance on the DL was comparatively predictable, as were Masterson’s struggles the last few times out (kid pitchers need to make adjustments). The question is what we do at this point. The answer? Not much, I think. Unless they’re injured, Beckett and Lester will continue to run out every fifth day and they’ll get it figured out, I think. Or at least Beckett will; I’m frankly worried about Lester’s innings jump, just as I was last season and this spring training. Wake’s been stellar thus far, and Penny’s shown enough the past two starts that someone may trade for him. The bullpen – Pap’s struggles aside – has been uniformly excellent, although the rotation’s struggles are burning them out. Defense: There’s no way to sugarcoat it, to paraphrase a recent reality show: we’ve just been bad. In the AL, we’re fourth from the bottom in Fielding Percentage, second from the bottom in caught stealing, and third from the bottom in defensive efficiency. And it’s not all the shortstop position: this one’s a team effort. This is perhaps my greatest concern with the team right now, because it’s going to be difficult to fix the pitching if we keep giving the bad guys extra outs. SportsNation Keith Law: That’s been the knock on him, and when I’ve seen him in pro ball, it’s been an issue. I understand he is throwing incredibly well in AAA, so it’s probably time to find out, right? Call him up, start him in mop-up, work him slowly up towards a leveraged role. Couldn’t agree more. Bard definitely has – as he’s allowed in interviews – much left to learn, but it’s not clear he’d get the necessary instruction in Pawtucket: in 16 IP, he struck out 29 guys, walking 5. Let’s see what he can do for us. And not have him face Richie Sexon with the bases loaded, preferably. How about an update for wicked clevah’s personal hobby horse? In 27 IP (he tweaked a hammy), Buchholz has struck out 27 while giving up 12 hits and 4 earned runs for a batting average against of .126 and an ERA of 1.33. The kid’s alright, methinks. The only black mark is that he’s walked 10 guys: he needs to improve that or the big league hitters are going to force him to throw something right down the pipe with all the guys on base. Red Sox players take turns checking out the bone removed from Jed Lowrie’s wrist. Huge. 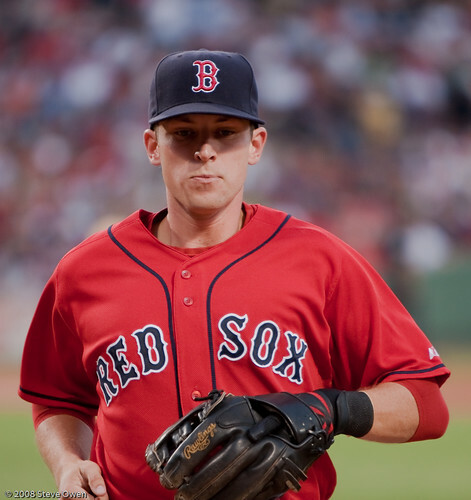 “I had [Dustin] Pedroia floating around in there,” says Lowrie. “How in the world did you play?” asks David Ortiz. Get well soon kid. Seriously. Have you seen our shortstops? What do you want from me? I told you he was bad, and that was when he was healthy. What on earth are we going to do with him if he can’t move? john (charlotte, nc): I heard today on the “message boards” they’re reports out of Anaheim that the Angels are offering Brandon Wood to the Red Sox for Justin Masterson…if this is even true, does it make sense? SportsNation Keith Law: Those “message boards” are super-reliable, too. Why would the Red Sox want another corner infielder? I’ll be honest: I like Masterson a lot, but if I thought Wood could play shortstop I’d have to consider this, at least trying to interest the Angels in Bowden instead. Wood’s not going to hit for average, but he’s a legit power threat. From the answer, though, it would appear that Law thinks he needs to move. Despite hitting more fly balls and liners than in previous seasons, Ortiz hasn’t had the timing to make solid contact and instead has hit just .221 while popping out on more than 16 percent of his fly balls. He has yet to homer, even though we are approaching mid-May in a year when the long ball is flying out of parks everywhere. He hasn’t been able to hit the ball the other way nor take advantage of the Green Monster for wall balls and towering homers, either, because pitchers are challenging him inside, knowing that he’s having trouble catching up. Pitchers also are challenging him earlier in the count; Ortiz is seeing first-pitch strikes 58 percent of the time, right at the league average and well above the rates he had seen the previous few seasons, when he was one of the dominant sluggers in the game. Ortiz is seeing more pitches per plate appearance, but he isn’t seeing better pitches to hit and is chasing more balls out of the zone. Although he has been able to hit balls out of the zone at the same rate as in previous years, he’s not making good contact on them. The old Ortiz would have sat on those pitches and forced a pitcher to go back in the zone, but with more pitchers putting him in the hole early, he hasn’t been able to control the count. All told, this means that the league is less afraid of Ortiz than it used to be, and that’s not a good sign for either him or Boston. If you listen to Magadan talk about where the bat-speed issues are coming from, Ortiz still should be able to make the league pay for this indiscretion once he sorts himself out, but the longer he takes to reach that point, the more likely it will be that his bat speed has truly diminished. All of that said, I’ll go on the record as saying that I think Francona’s doing the right thing, which also just so happens to be the only thing he can do. You can’t take a player like Ortiz and drop him to seventh or eighth, in my opinion, after a month and a half. If we hit June, fine, but let’s see what happens between now and then. Something to watch: Boston’s pitching surplus might lead to an early-season trade. Clay Buchholz has been absolutely dominant in the minors so far this year, and very soon, Daisuke Matsuzaka will return to the big leagues. Eventually, it figures that Justin Masterson will go back to the Boston bullpen, and that will create the spot in the rotation for Matsuzaka. If the Red Sox want to create another for Buchholz, they would always have the option of taking offers for a veteran pitcher who has had quality starts in four of his six outings. That guy is Brad Penny, who might be a nice fit for a team like the Milwaukee Brewers or the Mets. That’s all speculation at this point. Speculation, it might be, but we have holes we need to fix. If Penny or a package including Penny could bring us someone who could at least catch the ball at short, it could be an upgrade of two positions. One of them – please God – being shortstop. It’s been a bad weak. Until the two Yankee wins, in fact, I was borderline despondent. And why not? A week ago today, Brian Moehler started against Josh Beckett, and we lost that game. Then Shields went out and beat Masterson, which could have been expected. Next Garza beat Wakefield, which was at least understandable. Wednesday, we scratched to a three run lead against Kazmir, who typically owns us, and then…the wheels came off. That, put bluntly, was just a horror show. Easily the most painful bullpen implosion this season, and one that we’ll have to hope doesn’t come back haunt us down the stretch. Though it already is, as Tampa’s not only not faltering, but expanding on their cushion in the division. The only consolation is that the Yankees are similarly miserable. Which, of course, is no consolation at all. Anyway, on to this week’s ICYHBKUWCE. The ESPN gang took all the time and trouble to add odds to their standings page, so I’d feel badly if I didn’t take advantage. From here on out, we’ll snapshot the results each Sunday to gauge the Sox chances’ and my own sanity. This week’s odds? 33.7% of winning the division, 30.9% of being the wild card, for a 64.7% chance of making the playoffs. Can’t speak for you, but I’m not terribly enthused by those numbers. Tampa’s odds? 59.1%, 21.9%, and 80.9%. Not joking. In case you’re counting, now, the bullpen has cost us 15 games. Winning half of those would put us in the division lead. Same with a third of those. A quarter…well, you see where I’m going. So please, no more talk of Sabathia, or AJ Burnett, or whomever: we need help in the pen, desperately. Yes, part of it has been starters – I’m looking at you Matsuzaka – that are throwing 100+ pitches just to struggle through five. But can you look me in the eye you feel good about turning a one or two run lead over to the bullpen after seven? I didn’t think so. When Delcarmen is your best strike thrower, Lopez is arguably your best setup option, and the return of Mike Timlin’s 6.75 ERA and .876 OPS against is a good thing, there’s no other supportable conclusion but that you’ve got problems. Serious problems. Is it time to give up on the likes of Craig Hansen, as Rob Neyer is ready to do? Perhaps. Perhaps not. I could build the case either way. We all know the story: Oki 08 is no Oki 07, Hansen can’t throw strikes as often as he can, and MDC is getting caught doing his best LaTroy Hawkins impression more often than is helpful. Etc etc etc. Can Fuentes be the man? Who knows. But somebody has to step up. If the ‘pen costs us another 15 games in the second half, I can’t see how we’ll catch Tampa. Ripping Richmond dining provoked a lot of e-mails, except everyone suggested the same four or five places. That’s all you’ve got? It’s mostly because I don’t believe he’s terribly diligent. Which, considering the fanbase, is not a forgivable sin. Is it out of the realm of possibility that Matt Holliday winds up with Boston and the Red Sox don’t pick up Manny Ramírez’s $20 million option? Both players are represented by Scott Boras. This isn’t the first time Cafardo’s speculated on the subject; the last time he broached the subject was in the same article he mentioned his preference for Shelley Duncan over Jason Giambi. So to answer his question, no, it’s not out of the realm of possibility. Holliday’s putting up a .990 OPS, and will command dollars with Boras as his adviser, but if Manny’s not picked up we’d have ~20M to find some power. But is it too much to ask – as I did the last time – that Cafardo at least bring up the home/road splits? He’s clearly aware that such things exist, as he cites Burrell’s Citizens Bank Park line as a reason he’s a fit for the Phillies. If Cafardo concluded that Holliday’s last three year .281/.343/.466 away split would be worth the premium he’ll command on the market, ok. I personally don’t agree, because Manny even in a down year is besting that at .279/.379/.495, but the argument is there. Particularly if you factor in age. But it’s never even come up. Which makes me wonder if Cafardo has even looked at the numbers before pontificating on the subject. Jim (Portland, OR): KLaw, what is your opinion on Bowden now that you’ve seen him? SportsNation Keith Law: Disappointed. He was 88-91, below average command, flashed a plus curveball that has a chance to be an out pitch. Barely used his change, which Red Sox people have told me is his best pitch. Ugly delivery. Never saw the 94 mph I’d heard he was dealing this year, and the pro scout behind me told me he’d seen Bowden twice before (in 2008) and never had him above 88-92. Howie Rhody: Sox bullpen has been terrible lately. Time to bring up Bucholtz and Bard? Send Masterson to the pen with Bard? SportsNation Keith Law: Buchholz in the rotation and Masterson in the pen. I wouldn’t let Bard near the majors – yes, he hit 98 for me, but walked the first two batters, showed little command, and had a below-average breaking ball. He’s further away than I thought. Andrew (Exeter): Have you heard any news about the Red Sox tough signs? SportsNation Keith Law: Sounds like Alex Meyer is less likely. Navery Moore has been throwing very well in Tennessee, back up to the mid-90s, and the Sox are monitoring him – could be a surprise signing there later in the summer. Reader Matt R told me that Ryan Westmoreland has joined the Facebook group for Red Sox prospects … hmmm [ed – I can confirm that Westmoreland is in the group – I looked]. Everyone expects them to get Hissey and Gibson signed. Haven’t heard anything on Cooper or Marquis.